There’s a new No. 1 in this week’s VSN’s Boys Basketball Top 20. Patterson High has the top ranking after Boys’ Latin School’s first-ever reign at No. 1 ended. The Clippers are the first public squad to claim No. 1 since Poly held it for four weeks last season. The Engineers, St. Frances Academy, Boys’ Latin and New Town round out the Top 5. Century (No. 15) debuts in the poll after knocking off previously undefeated Liberty, and St. Paul’s School (20th) returns after completing a regular season sweep of Gerstell Academy. Pictured above: Patterson breaks the huddle after a timeout during its stirring comeback victory over Poly last month. The Clippers are the new No. 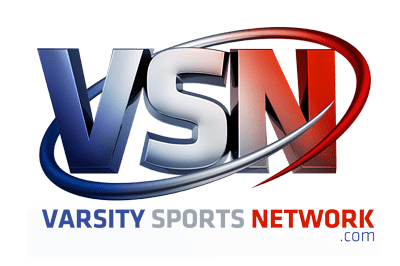 1 in VSN’s Boys Basketball Top 20 poll. Last week: The Clippers went 3-0, defeating Carver Vo-Tech (96-36), Wilde Lake (62-55) and Benjamin Franklin (81-66). Last week: The Engineers defeated Forest Park (67-35), Reginald Lewis (64-34) and City College (76-41). Last week: The Panthers went 5-0, defeating St. Vincent Pallotti (70-58), Gilman School (67-57), No. 11 Loyola Blakefield (54-44), Calvert Hall College (65-43) and then-No. 1 Boys’ Latin School (80-63). Last week: The Lakers defeated No. 14 Annapolis Area Christian School (67-66), Gilman School (60-58), Archbishop Spalding (79-44), and lost to then-No. 4 St. Frances Academy, 80-63. Last week: The Titans went 3-0, defeating Parkville (73-35), Coppin Academy (72-55) and Owings Mills (80-34). Last week: The Red Storm defeated Reginald Lewis (71-60), then-No. 6 Lake Clifton (73-67) and National Academy Foundation (68-34). Last week: The Lakers defeated Digital Harbor, 67-23; lost to then-No. 9 Edmondson, 73-67, and defeated Dunbar, 69-56. Last week: The Gaels defeated Calvert Hall College (72-58), St. Vincent Pallotti (72-57) and then-No. 13 Glenelg Country School (56-40). Last week: The Lions went 3-0, defeating Patapsco (111-36), Pikesville (88-53) and Carver A&T (81-23). Last week: The Dons lost to then-No. 4 St. Frances Academy, 54-44, and defeated Gilman School, 64-50, and John Carroll School, 74-50. Last week: The Eagles did not play. Last week: The Dragons defeated Calvert Hall College, 65-36; lost to then-No. 7 Mount St. Joseph, 56-40, and defeated St. Vincent Pallotti, 70-51. Last week: The Raiders went 3-0, defeating Reservoir (55-47), Howard (61-55) and Marriotts Ridge (79-70). Last week: The Bruins defeated Southern (67-52) and then-No. 19 Meade (69-54), and lost to Annapolis, 64-63. Last week: The Knights defeated then-No. 10 Liberty, 66-64, and C. Milton Wright, 75-54. Last week: The Lions lost to Century, 66-64, and defeated Francis Scott Key, 70-49. Last week: The Eagles lost to then-No. 1 Boys’ Latin School (67-66), John Carroll School (69-64) and Bishop McNamara (79-67), and defeated Mount Carmel (70-48). Last week: The Patriots defeated North County, 81-65, and Arundel, 88-65. Last week: The Mustangs defeated then-No. 17 Glen Burnie, 66-48, and lost to then-No. 16 Broadneck, 69-54. Last week: The Crusaders defeated St. Mary’s (59-50), then-N0. 20 Gerstell Academy (58-44) and Indian Creek School (50-38). Last week: The Warriors went 3-0, defeating Bel Air (69-53), Bohemia Manor (67-43) and North Harford (69-38).